Tree ferns are one of the most ancient plants on Earth. This one is called Dickinsonia Antarctica.These stunning plants are usually exported from Australia or Tasmania. Available from 30cm to 3 metre height.An excellent choice for contemporary gardens. 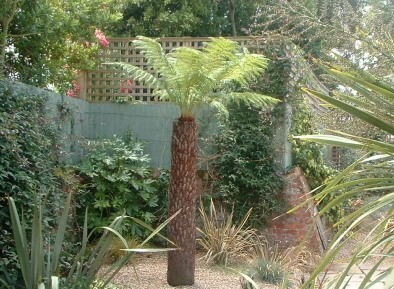 Tree ferns supplied and planted.